Shelton Old Road Heritage No. Tile works office range, now used as offices. 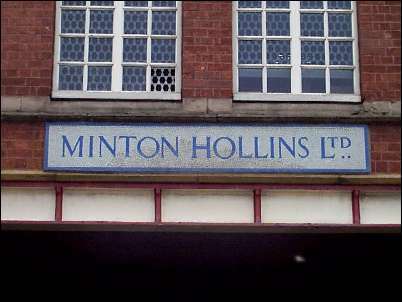 1869 by Charles Lynam for Michael Daintry Hollins of the Minton Hollins Tile Company Ltd.
Red brick with orange and red brick and stone dressings, and enriched with tiled decoration. Slater hipped roof with various truncated stacks, louvres and a stepped ridge parapet to right of centre.2-storeys, 27 bays. 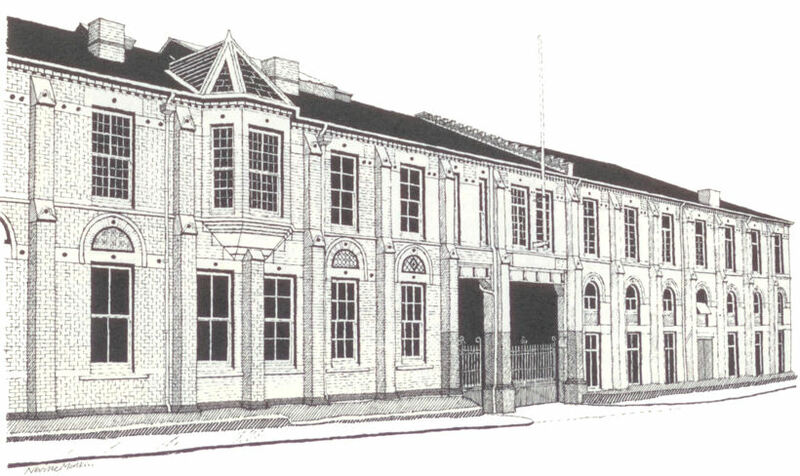 The prominent features of the facade are an oriel window in the twelfth bay from the right, with a tall hipped roof in the French Renaissance style, and two entrances, in the eighth and ninth bays from the right. The left is narrower than the standard width of bay, the righthand, wider. 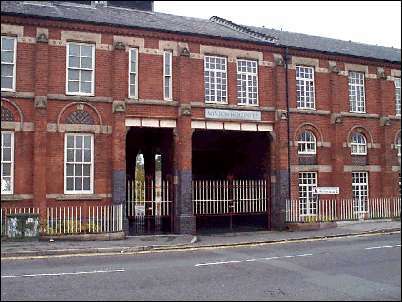 Each has cast iron-lintels to pedestrian and carriage entrance arches. All other bays have round-arched windows to ground floor recessed in round arches with brick dressings, stone key blocks and hood moulds, and tiled tympana. 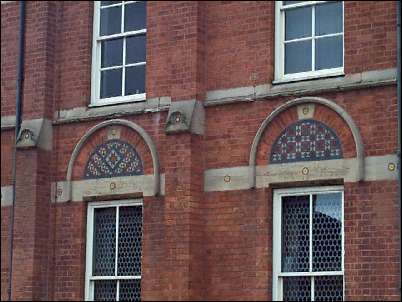 Upper windows have moulded stone lintels with rosette decoration. All bays divided by buttresses with moulded stone weathering blocks at ground floor and first floor levels. Interior: main staircase to the offices on the first floor of 3 flight open well type with cast-iron hand rail. Walls to the stairwell formerly decorated with examples of Minton Hollins tiles. 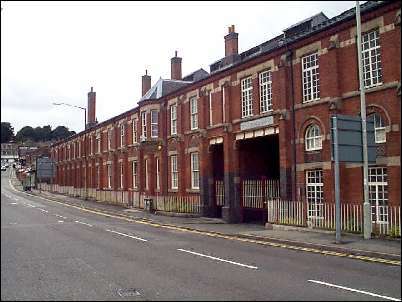 This building was the main office range for the tile works now largely demolished, and contained offices and board room, showrooms and museum, as well as the rooms of the final stage of production, including packing, storing and warehousing space.